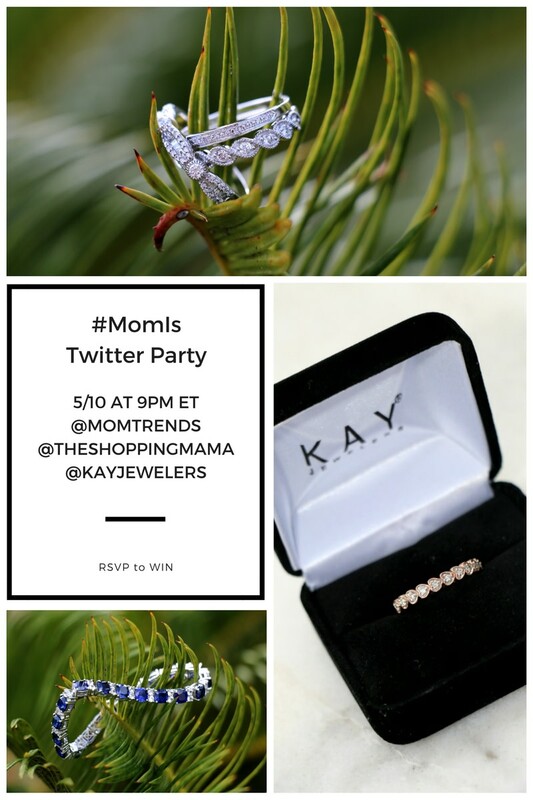 This post and Twitter party are sponsored by Kay Jewelers. We’re thrilled to share that we’ve partnered with Kay Jewelers to celebrate moms during this very special time of year. Not only do we want to honor you this Mother’s Day season, but we are excited to give you the chance to celebrate your own mothers and share how much they mean to you! We can’t wait to chat all about what #MomIs to you! And as you shop for your Mother’s Day gifts this year, we encourage you to consider Kay Jewelers. Not only do they have a huge selection of gorgeous pieces, from fashionable bolos to stylish stackable rings to elegant earrings and more, but they also have something for everyone’s budget. No matter what you’re in the market for, you’ll surely be able to find that super special piece that will let mom know just how much she is loved and appreciated. Please RSVP below to be eligible to win one of the prizes as you chat. All participants must be at least 18 years of age to join us and win. Only US residents are eligible. Tweets must include #MomIs. Winners will be contacted via DM after the Twitter party. To be eligible to participate and win prizing, participants..
To see the official rules, click HERE.